For Monica Pedersen, everything revolves around a good tableskirt. Whether she is designing a beautiful room or setting the table for a party, there has to be a tableskirt. 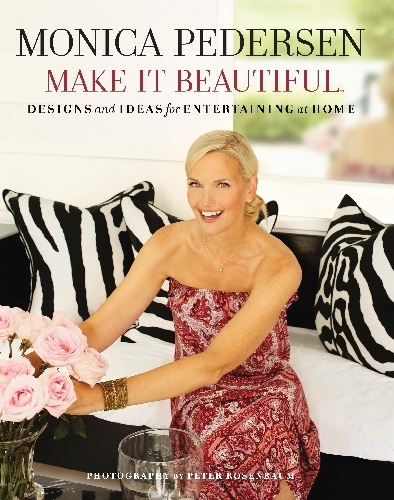 In her new book, which was released Tuesday, Pedersen combines her love of interior design and entertaining. “Make It Beautiful: Designs and Ideas for Entertaining at Home” takes an in-depth look at 10 lavishly styled parties, using items, accents and materials that are easily accessible and more often featured in home décor. In reality, the designer, who lives near Chicago and is host of several HGTV shows including “Designed to Sell,” “Bang for Your Buck,” “Showdown” and “HGTV Dream Home,” said there isn’t a lot of difference between interior design and setting the stage for a festive gathering. For Pedersen, it all begins with selecting the proper fabric. 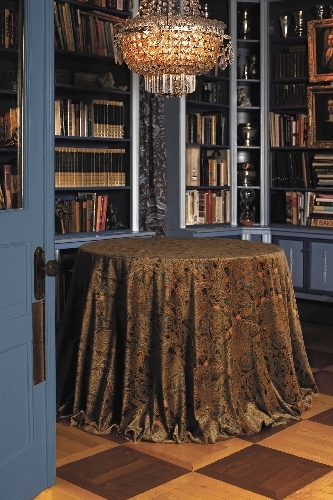 In practically all of the designs she created, whether for private clients or her shows on HGTV, Pedersen said she made sure her tables were always covered. And selecting the fabric for the table is the first thing she does when planning a party. Her love of fabric began when she was a child. For every birthday celebration, her mother would create a unique table and cake for Pedersen and her twin brother. Later, as Pedersen prepared to marry her husband, Erik, and was registering for gifts, she couldn’t find any pretty tableskirts. Remembering that her mother would use fabric intended for home décor, she turned to material that was more often turned into drapes or sofas. Another benefit of using home décor fabrics is that you can always buy extra to make matching napkins or pillows, which helps tie everything together. Pedersen said there also are fabrics typically used for clothing that work well, which she became familiar with while working as a fashion model. “They hang and drape nicely, but they are not that wide,” she said. 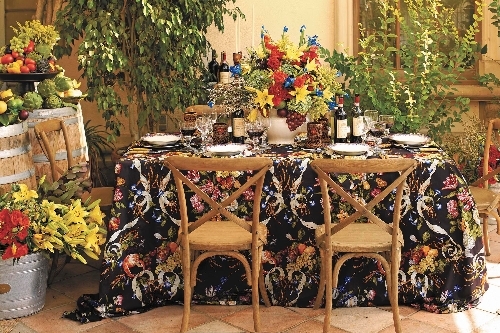 Although Pedersen is well-known for her design, she said she has been creating tablescapes for a long time. Her book walks readers through the steps to re-create each look, offering pointers along the way, in a way that can be modified to fit any budget. In addition to the tableskirt, Pedersen discusses flowers, plates, glasses, centerpieces, accessories and, of course, the menu. All kidding aside, Pedersen said she tailors the menu to the venue, formality of the event and what she knows her guests will like. The parties featured in the book were actual events that she planned. Among the events showcased are a baby shower, eco-friendly graduation party, wine and design party, tea for two and a gingerbread house decorating party. Photographs in the book were taken by Peter Rosenbaum, a longtime friend. 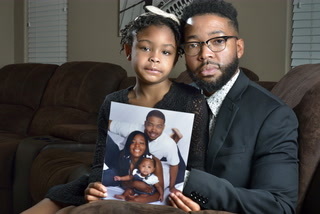 She said they had been wanting to do a project together, and the book was the perfect fit. She also teamed with chef Fabio Viviani, who has competed on “Top Chef,” for her That’s Italian party. The two met during the annual Chicago Gourmet event and Viviani had invited Pedersen to dine at his Los Angeles restaurant. Although her schedule prevented her from accepting his invitation, Viviani was happy to help arrange a party for a few of Pedersen’s friends when she had to visit LA for a HGTV Halloween special. Pedersen is a regular visitor to Las Vegas as well. 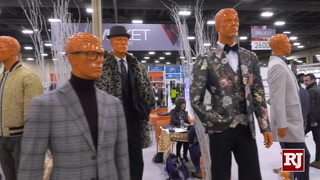 She attends the biannual furniture markets at World Market Center Las Vegas, where she co-presents the First Look design seminar and scouts hundreds of showrooms for a Style File video presentation that highlights some of the market’s best introductions. At the end of the book are several recipes and sources for materials Pedersen used.